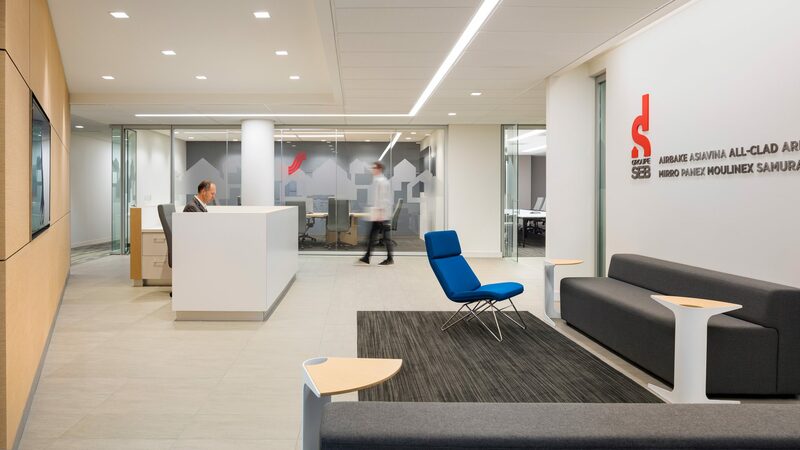 For the full renovation of Groupe SEB’s 28,000-sf United States headquarters in Parsippany, New Jersey, we designed a forward-thinking and fun environment for their youthful team. 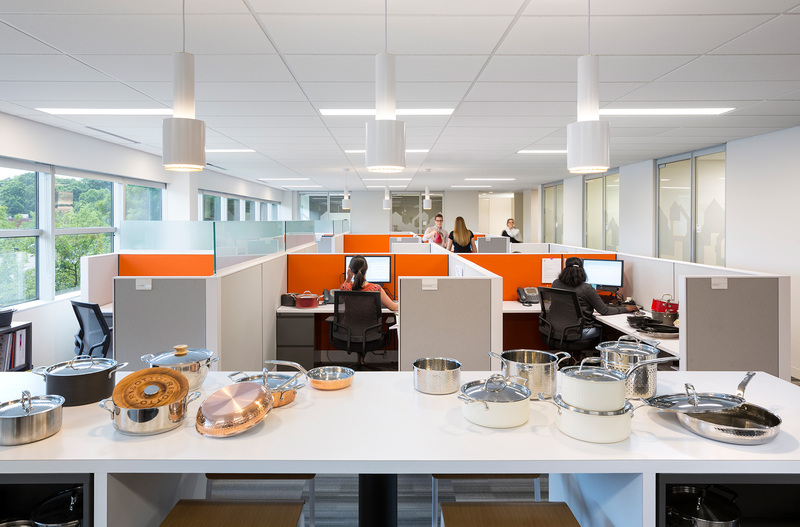 Groupe SEB represents over forty cookware and appliance brands around the world, so it was important to make their presence felt throughout the space. 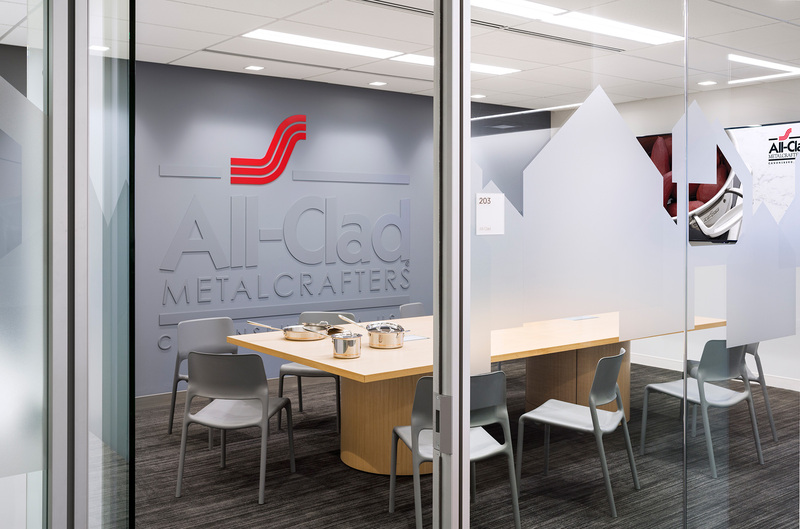 A set of showrooms displays all product lines, and each significant brand is conceptually represented in a conference room through signage and environmental graphics. A Krups branded coffee bar features prominently adjacent the reception area and is open to all guests. There’s also an AV-enabled test kitchen available for product demonstrations. 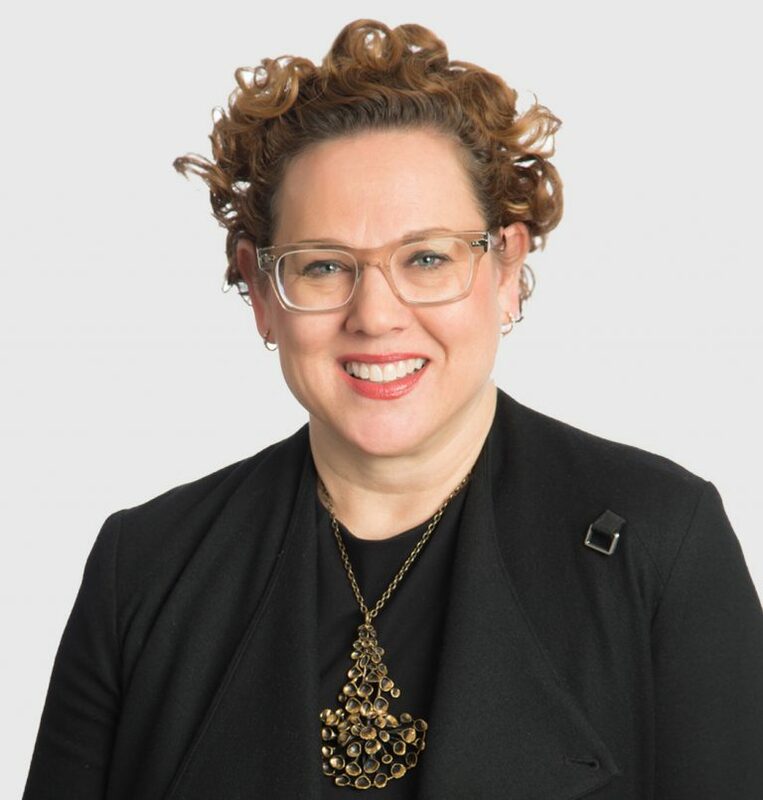 The client is based in Europe, and so mandated office planning has maximized daylight with bright open spaces that mirror the energy of the organization. We made sure all team members were located within 30 feet of the perimeter windows; low-paneled workstations and full-glass office fronts further support these goals.